We have opened our very own apparel store! Now you can represent the #DumaArmy in a variety of clothing and other gear. 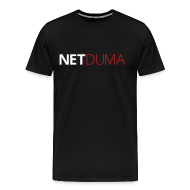 All profits made from the sale of merchandise will be put back into the NETDUMA user community for competitions, giveaways and prizes etc.